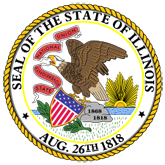 This report presents summary statistics on competition in basic local telephone services and the deployment of broadband and mobile wireless services in Illinois. 1. Annual Report on Telecommunications (20061010183753_030530garpttcmkt2003.pdf).